Musical, furtive, and busy. Common throughout the US and southern Canada in summer; more southerly range in winter; year-round throughout central and South America. Small, brown and stout, with a long curved bill and short, often drooped wings; dark barring on wings and tail. Uses a wide variety of habitats that include trees and dense vegetation; often use buildings for nests. Insect eater. 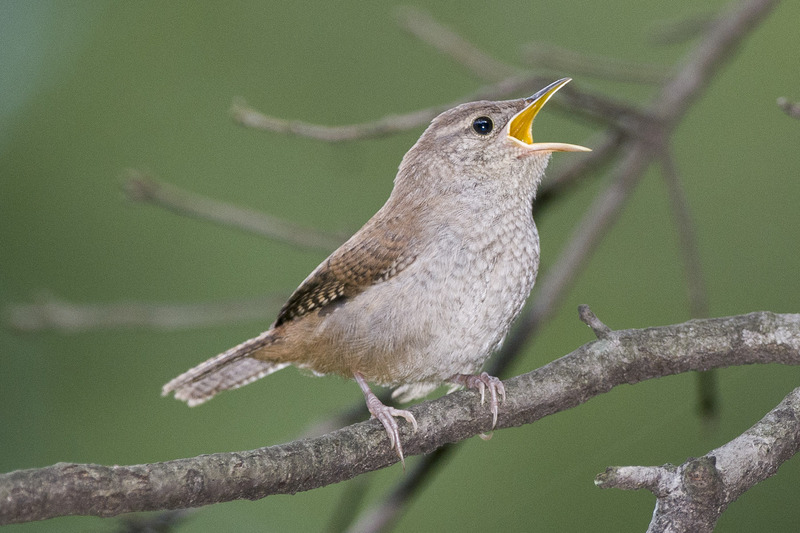 Aggressively defend and invade nest holes, including nest boxes; often build multiple nests. May place spider egg sacs in nest to help control parasites. Lifespan up to 9 years. Population ~ 50 million and increasing.